Home » Harmony Welcomes Willow Forrest! 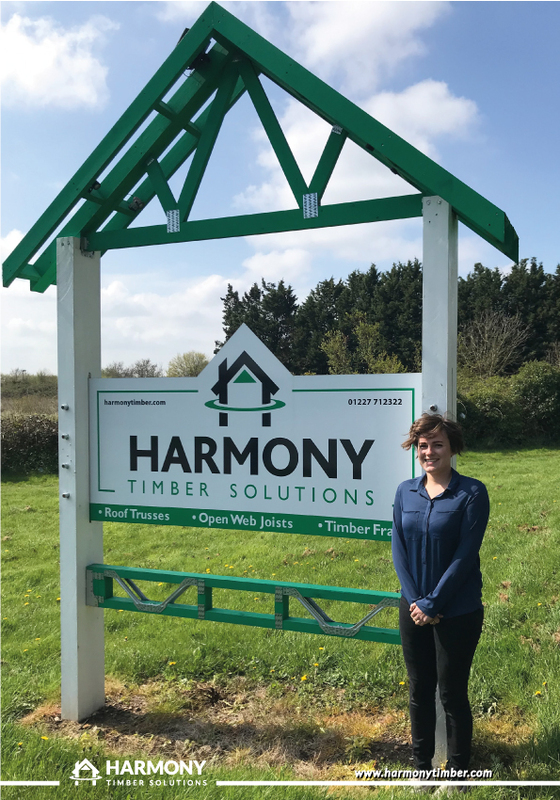 Harmony Timber Solutions are excited to welcome our latest employee to our design office! Willow Forrest has joined our UK team in Canterbury, South East Kent and is looking to dive straight into her role as a design technician, specialising in roof truss design! Willow has already proven to be a hard worker, remaining dependable and boasting a positive attitude. From her studies of product design at UCA Rochester and her A levels at Chaucer Technology, Willow obtained the experience and skills required to drop straight into the job role. Willow has timber and carpentry in her blood, with her Dad being a skilled carpenter. This must have given her the edge when designing sustainable furniture at UCA and is definitely going to aid her through roof truss design. Not one to shy away from a physical activity, Willow takes part in a lot of athletic events from rock climbing to competing in triathlons, where she runs, cycles and swims her way to victory. Willow loves design and the design process. She is specifically interested in sustainability and pushing manufacture and design to a closed loop process. Training under our technical director Russell Stannard, Willow has completed her training on our specialist software (Pamir by Mitek) and is already tackling bespoke roof designs. Take a look at her Sketchfab profile, you will be able to see structures Willow has already designed! We see a bright future in front of Willow, with her taking on many different projects and large sites. With Willows adoration for birds of prey (Owls & Falcons being a favourite of hers), it won’t be long until she swoops into your project and wows you with her expertise! Get a Roof Truss Quote Now!